BeFunky app: insight & download. Compatibility: Requires iOS 9.1 & up. Photo Editor by BeFunky. Anything you want to do to your photo, you can do with BeFunky Photo Editor and Collage Maker! 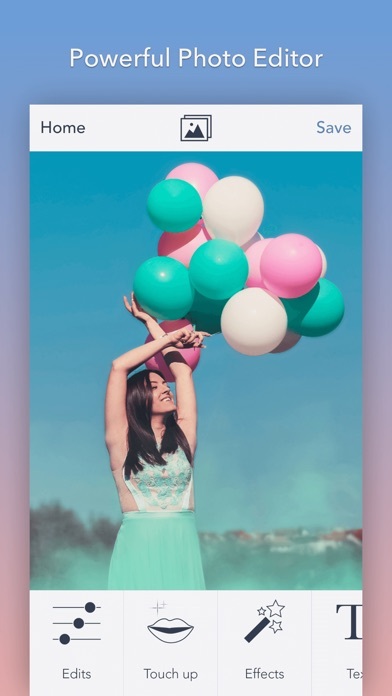 With all the photo effects you love and many you won’t find anywhere else, BeFunky is the most feature filled photo editing and collage making app in the world! No registration is required, there are NO ADS, no watermarks, no limitations, and no forcing to share… With BeFunky Photo Editor and Collage Maker you get total control over your photo editing experience. 16 January 2014 : Free!